Peel and cube the potatoes. Boil in plenty of water for around 20 minutes or until they are soft. You can check this by piercing one potato with a fork and if it goes in easily, they are ready. Peel and cube the parsnips and boil separately for around 20 minutes until ready, the same applies as for the potatoes. Remove the skin and pull apart the smoked mackerel into bite size chunks. 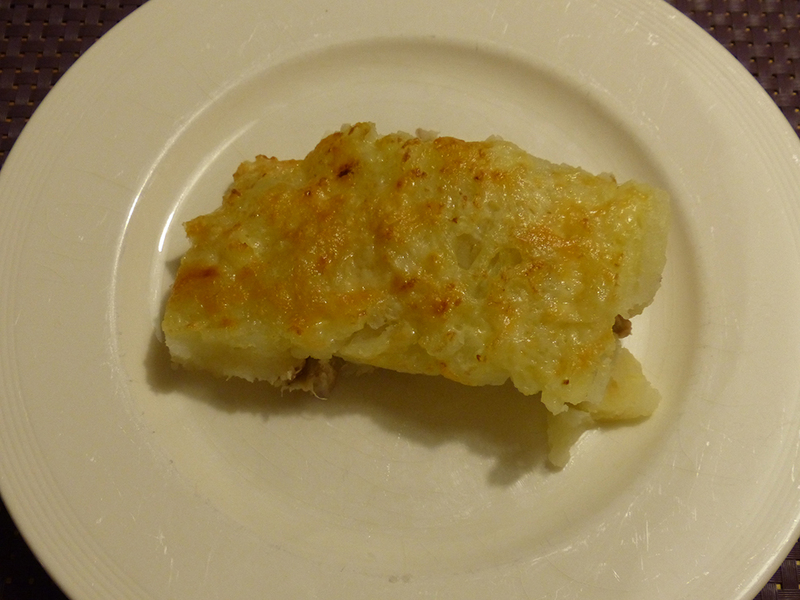 Put the mackerel in an oven dish and add the parsnips on top. Smooth out the mashed potatoes on top. And sprinkle with grated cheese. Grill for around 5 minutes until the top is golden brown. Serve, if you like, with mustard.